I had some cardstock on my craft table from which I’d just cut out flower daisies using the SU die and my big shot. I used pink pirouette to sponge through the aperture left in the cardstock by the die, turned and sponged again. I added more ink at the bottom using the same technique with a scrap of card and an edge punch, stamped the sentiment in early espresso ink over the daisy image and I was done! It was a simple card to make, but I love it. I really enjoyed the challenge this week – thanks girls! Lovely card, and a great idea to stamp through the aperture. Lovely card and a great idea. Nice subtle pink. 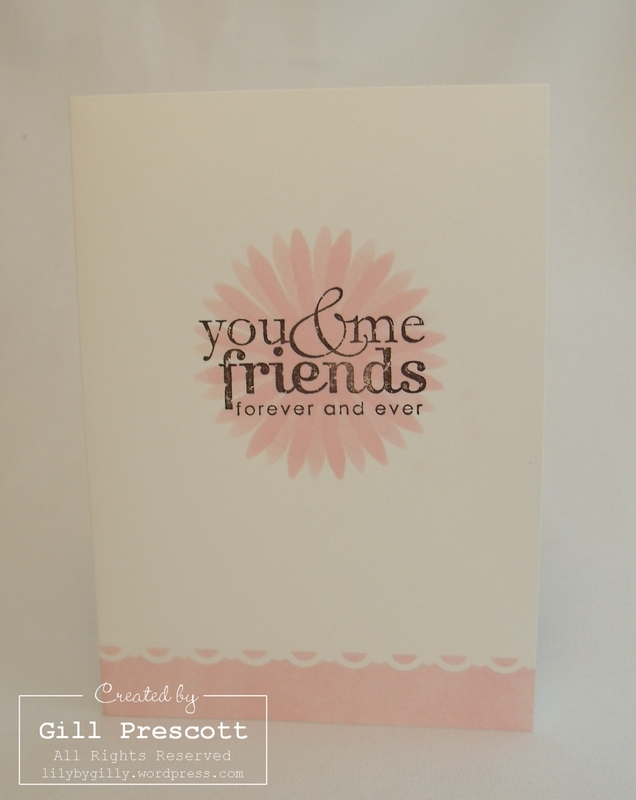 what a gorgeous card, I love the different shades of pink and the way you’ve used the edge punch. Sweet sentiment too! 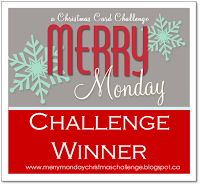 You loved our challenge, we love your card! Gorgeous CAS design! 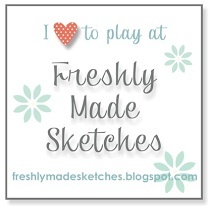 LOVE that shade of pink and how you stamped the sentiment on the image, looks awesome! so simple yet effective, love it! I understand right, you take the die cuts like template? I used the waste card that was left after I’d cut out the daisy shapes with the die, and sponged through the hole where the daisy had been. A beautiful card. So delicate, so romantic. You have such beautiful cards here! They are really pretty and inspioratinal! Thank you for visiting my blog! I love your cards very much. This one, for LIM, is beautiful soft coloured. Thanks for visiting me. Beautiful card – very cas.